2015 was a great year for games, and the sandbox genre has had some of the best showcases. 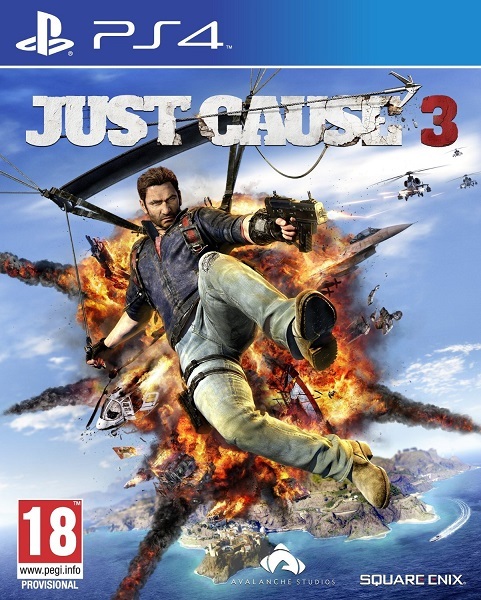 The Witcher 3, MGSV: The Phantom Pain, Fallout 4 and more have kept gamers glued to the screen, and now just in time to see the year out is Just Cause 3, the first eighth-gen outing for this explosive series. 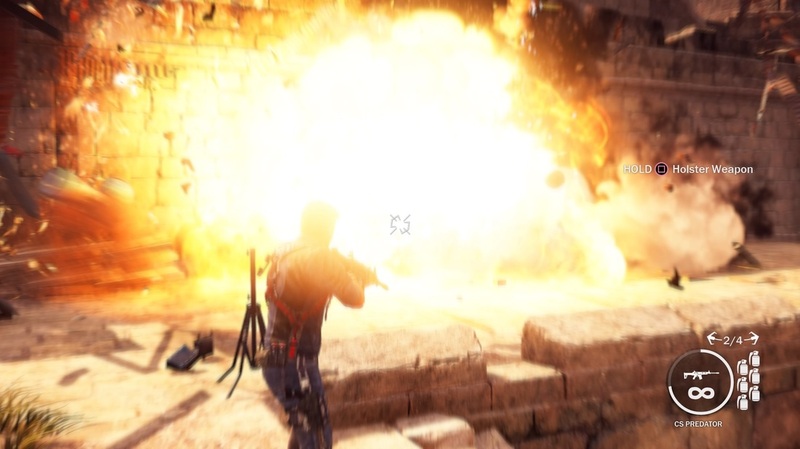 Just Cause 2 was critically praised, and while JC3 boasts some of the elements which made it great, those feats often are buried under mundane mission design, an insanely forgettable story and technical issues which are more than annoying. It’s genuinely a disappointment. 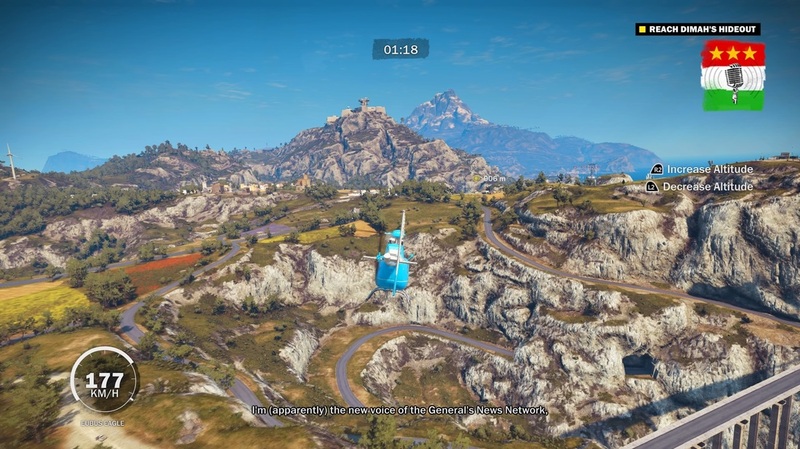 It’s a shame, because the world of Just Cause 3 is genuinely breathtaking. The sheer size of the map rivals the likes of The Witcher 3 and GTAV, and it maintains a consistent tropical beauty with excellent lighting, detailed environments and some of the best water effects seen which make the islands of Medici stand out. The explosions – something you’ll see often – are astoundingly beautiful too, often causing the screen to shudder with fire. But like other elements, the beauty can be diminished by a troublesome frame rate which crawls into single-digits. This actually affects gameplay, and often irritating deaths can be caused by the chugs. There’s nothing wrong with JC3’s gameplay per se, as elements like the grappling hook, driving and exploration feel solid still. You can now tether multiple objects too, amping up the insanity you can cause be it tethering explosives, enemies and even cows. As you progress, you earn a myriad of unlocks such as weapons, vehicles and even abilities through Challenges, which task you with completing objectives quickly for Gears, which unlock abilities such as nitrous in vehicles and more ammo. But some odd – and dehabilitating – upgrades, such as free aim, are irritatingly locked too. This makes shooting tedious until you’re forced through side content. In fact, the story is so miniscule that the dearth of side content makes the experience feel padded. Story missions involve a generic uprising plot, with a viscous dictator being challenged by Rico Rodriguez, who feels weirdly dull in this one and lacking much of the wit of previous games. There are around twenty-five missions in all, and each boil down to the following: defend a person or item, follow some pipes to destroy a defence system or pursue battles in order to rid a section of Medici of the oppression. A couple of missions are better, such as a crazy battle taking place on top of a jet while you snipe enemy Jets out of the sky. But it’s all over in a rush, and lacks any defining moments. And when certain missions are locked behind side-mission progression, you can’t help but feel frustrated at the padding. 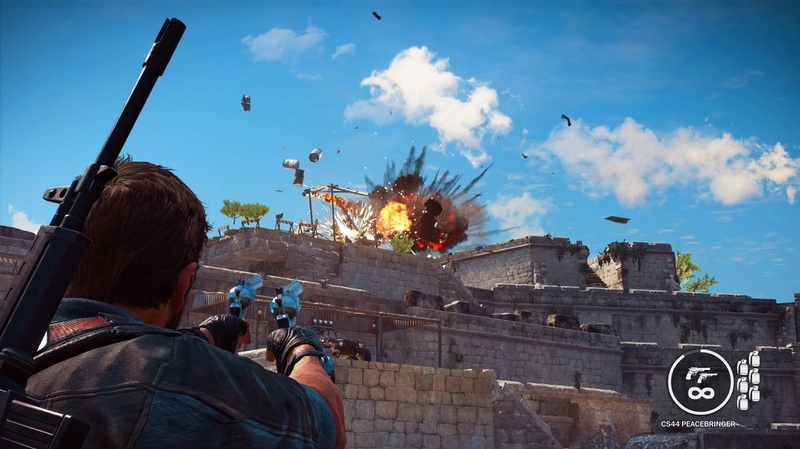 This wouldn’t be so bad, but unlike other games which bolster their world with excellent side content, a majority of Just Cause 3 is made up of three different elements: liberating settlements, completing Gears Challenges and collectibles. Liberations start off fun, as variants task you with destroying objects to free a town, military base or defence tower, but with 130 of them, they become old quick. 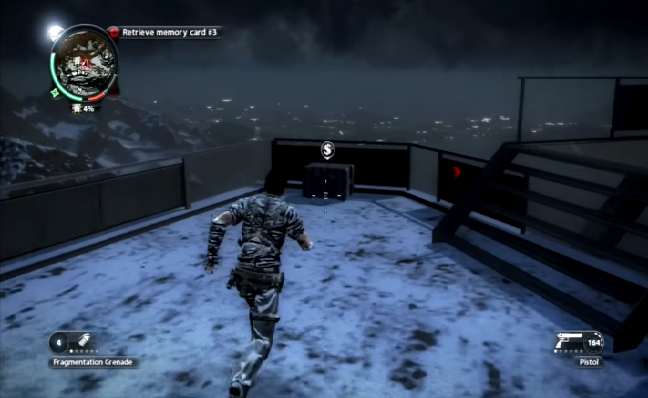 It’s particularly tedious at first, as fast-travel is locked until you complete a mission and scavenge for flares – though collectibles do eventually let you travel for free. By the time you’ve liberated your first province, you’ll feel bored. Gears Challenges aren’t much better. As mentioned before, they’re a series of dozens of trials which task you with completing a race - be it on land, air or sea – within a time limit, blowing up a base while limited to one weapon or flying through rings while gliding (which, shamefully, is far too reminiscent of Superman 64). None of the challenges are particularly fun, and can be frustrating to earn full gears on as you’re forced to return repeatedly once you unlock upgrades which assist you in earning all five gears. Collectibles, meanwhile, consist of audio tapes which add backstory, vintage weapon parts, shrines and temples to commemorate the dead and vehicles to collect. 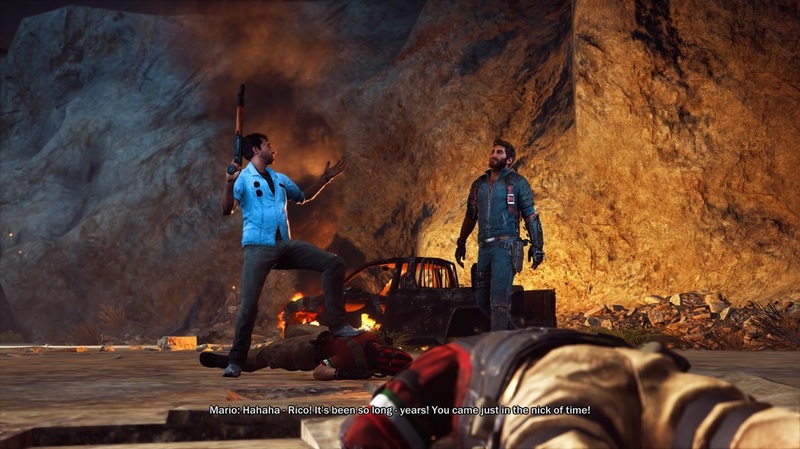 It never adds much, and all of JC3’s side content is insanely forgettable. 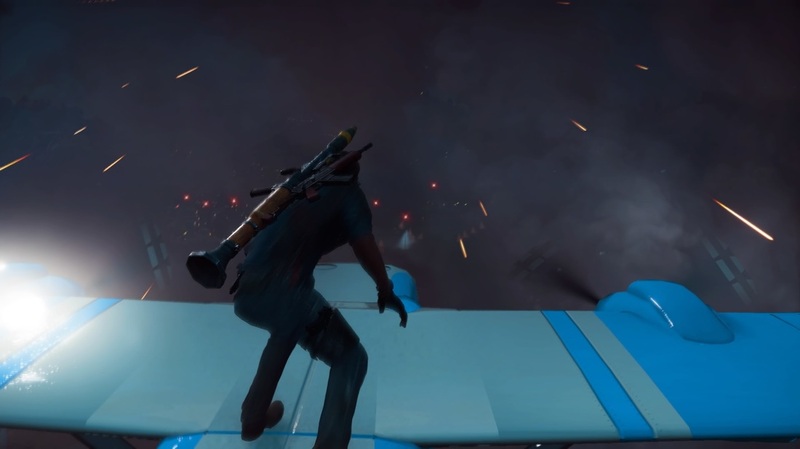 Though some games can suffer from technical issues, JC3 suffers from some really aggravating bugs. As mentioned, the frame rate can chop so bad it drops to single-digits, but there’s worse. The game crashed on me dozens of times, either freezing on loading screens or outright returning to the dashboard. Dialogue can often become muffled under explosions, music can cut out entirely and weird physics can cause you to die from short distances yet survive larger ones. There is also a slight online element, as the game tracks your scores on the leaderboards and allows you to compete against others. However, the unstable servers can cause a disconnected error to pop up, leaving you irritated at the constant stops. 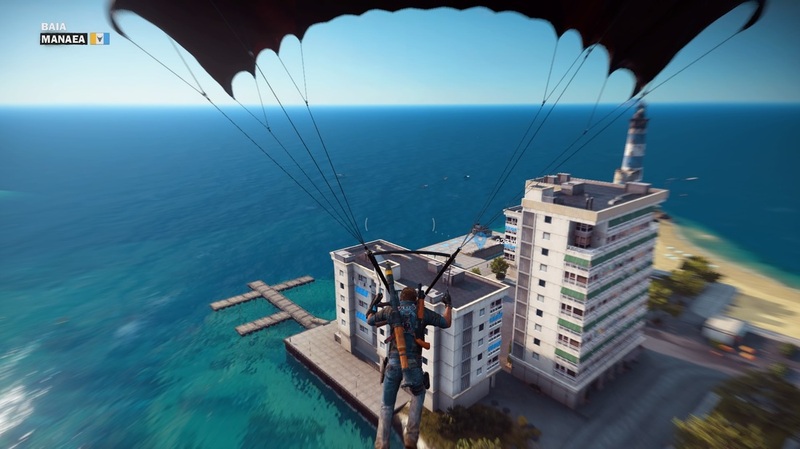 Just Cause 3, in the end, fails to live up to the expectations not only of sandbox games, but also its predecessors. It’s a real shame, as its clear Avalanche took advantage of the PS4’s power to create a genuinely gorgeous sandbox. It’s just a pity that there is poor content populating this playground, whether it’s the lacklustre story missions, repetitive Liberations or bland Gears challenges. The frequent technical issues also detract a lot, leaving you frustrated even further. And it’s the little things, like locking so many common functions like zoomed aim behind side content, which build into an unsatisfying whole. 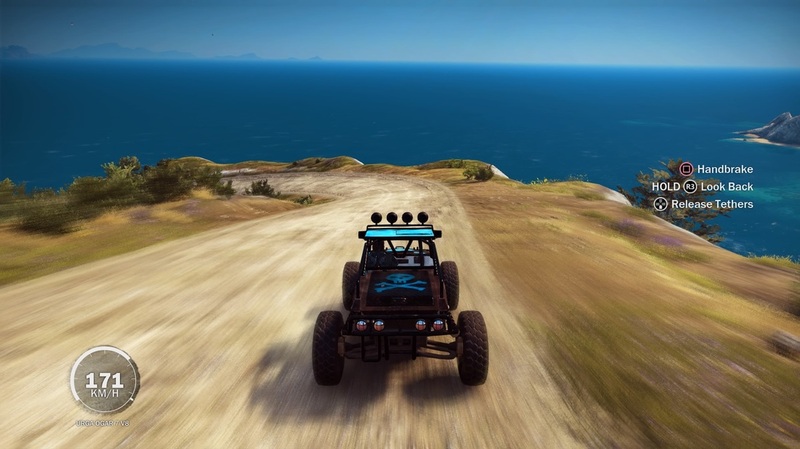 With much better sandbox games out this year, JC3 has no excuses.